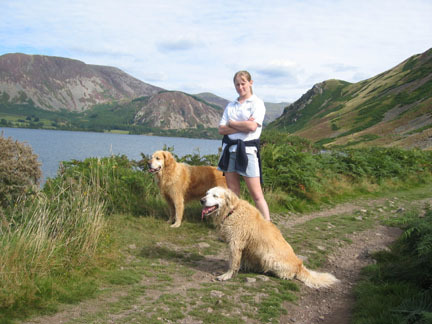 Occasion : A walk up Anglers Crag in Ennerdale - Ann, Jenna and the dogs. Walk details : 3 mles 550 ft of ascent. Weather : Sunny and warm. Start of a short and sunny afternoon walk - Jen , Holly and Layla. Anglers Crag to the left. Great Bourne to the right. 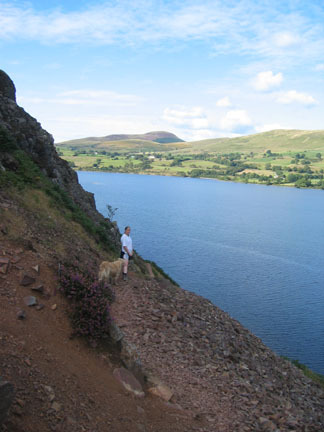 Jen's first panoramic shot - a view of the Ennerdale Valley (and her Mum!) from the top of Anglers Crag. 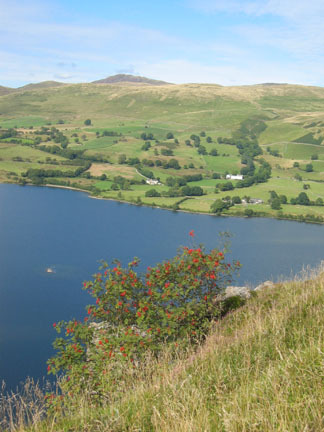 Contrasting colours - a red of the Rowan tree and the blue of the lake below. Holly swam most of the way back . . . . 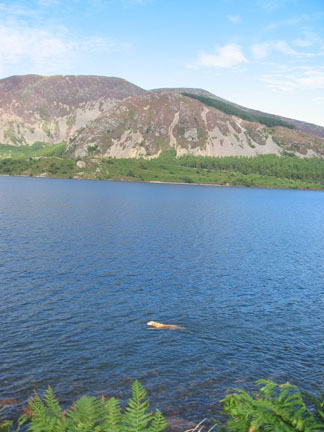 The Loch Ennerdale Monster ?? Return to the car - Jen and Layla on the high path below the Crag. 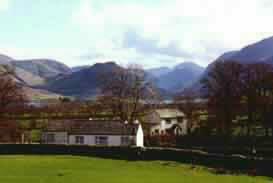 Knock Murton in the distance. This site best viewed . . . with a cup of tea.